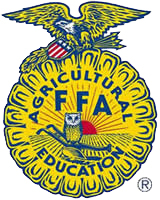 4H/FFA Members – See Dept 10 Rules and General Rules. Competition open to persons enrolled in programs of vocational agriculture education. Exhibits must show work done in school or as a guided experience under the supervision of the teacher. Entries must be the work of an individual or small group. Entries to be no more than four feet wide; depth and height may vary. Each exhibit must have unity, convey one idea based on an approved method or practice in vocational home economics or agriculture. The display should be simple in form, have few signs and charts, and not be crowded. ELIGIBILITY: Applicants must be members of a regularly organized 4-H Club under the supervision of the Pennsylvania State University Agricultural Extension Service or members of a FFA chapter affiliated with the national FFA organization. All contestants must have reached their fourteenth birthday and must not have passed their twenty-first birthday by the opening day of the fair. Applicants must be in a position to show that they are experienced tractor operators. The contest will be divided into three parts: A written examination of 50 questions covering general maintenance and safety practices of a farm tractor; a trouble shooting examination on a tractor; a tractor driving and equipment handling course. Any protest with reference to any circumstances of the contest must be made by the contestant affected, to the contest manager at the time that the incident arises. When all contestants have participated and placings have been announced, the results are considered final and there will be no reconsideration of the circumstances. Tractor driving contest rules approved by the Pennsylvania State University or the Pennsylvania FFA Association will be followed. OBJECTIVE: To demonstrate team and personal skills in selecting dairy cattle and livestock. Contestants must be 4-H or FFA members in good standing. All contestants must present themselves at the livestock arena at 5:00 P.M. on Monday of the Fair. Official placings will be taken from the judging of the various classes on following days. Classes of animals to be judged will be formed from animals available at the fair.